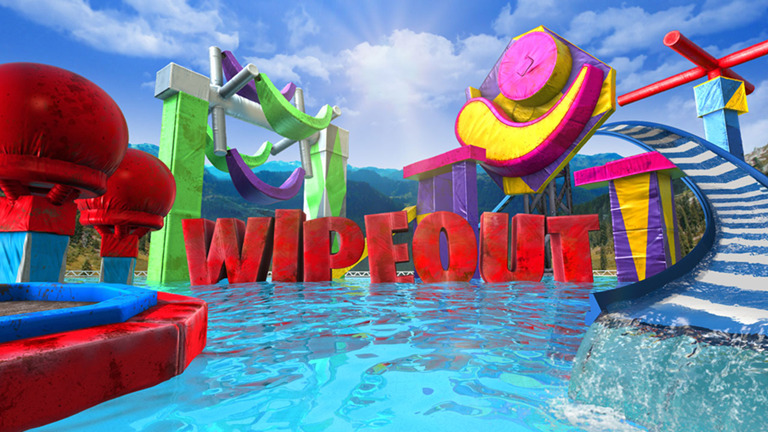 A riff on endlessly entertaining Japanese game shows, ABC’s surprise hit Wipeout is as fun to watch as is rigorous to complete. 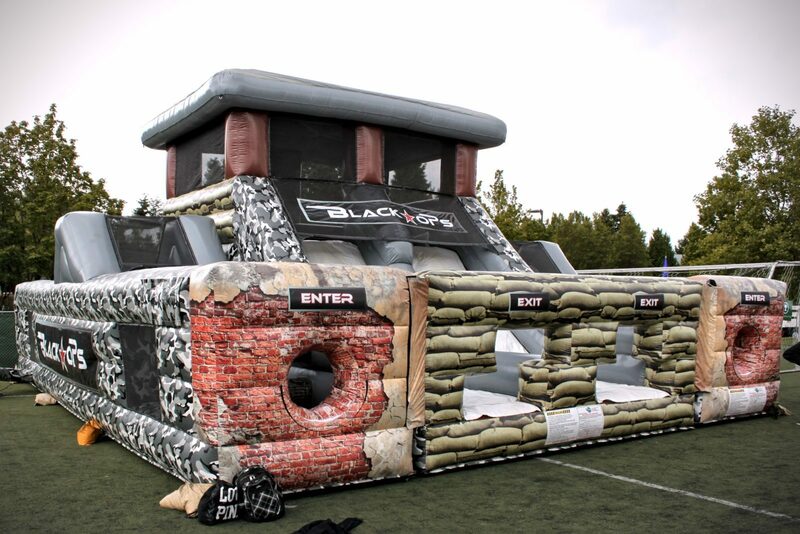 For all who have dreamed of competing on the obstacle course-driven game, you’re in luck. 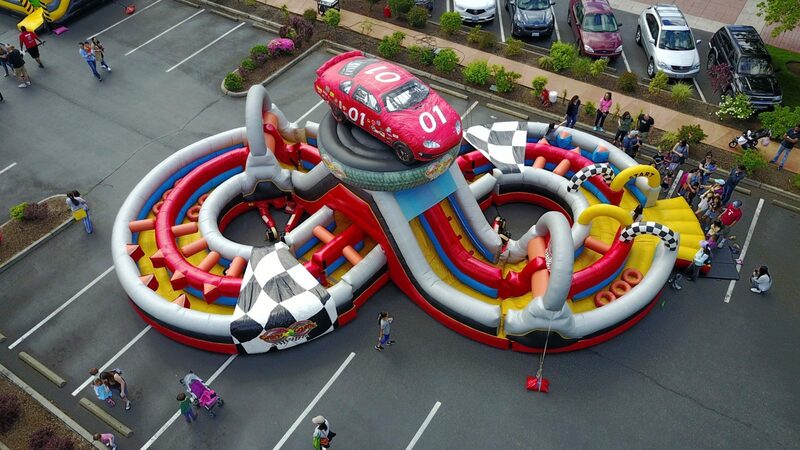 Our inflatables can turn any corporate parking lot or event venue into a Wipeout-style obstacle course, more than ready for primetime. At ninety-one feet in length, this bold and bright behemoth requires two staff members and has the throughput of 120 guests per hour. What’s more than sixty feet long, infinite in shape, and racing-themed? 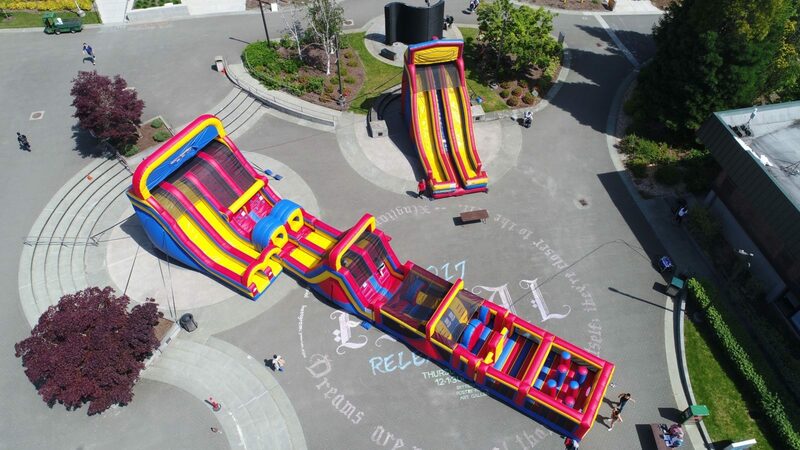 The aptly named Crash Course obstacle course. This more reasonably sized obstacle course ditches primary colors for brick and stone, yet still has a throughput of 120 guests per hour. 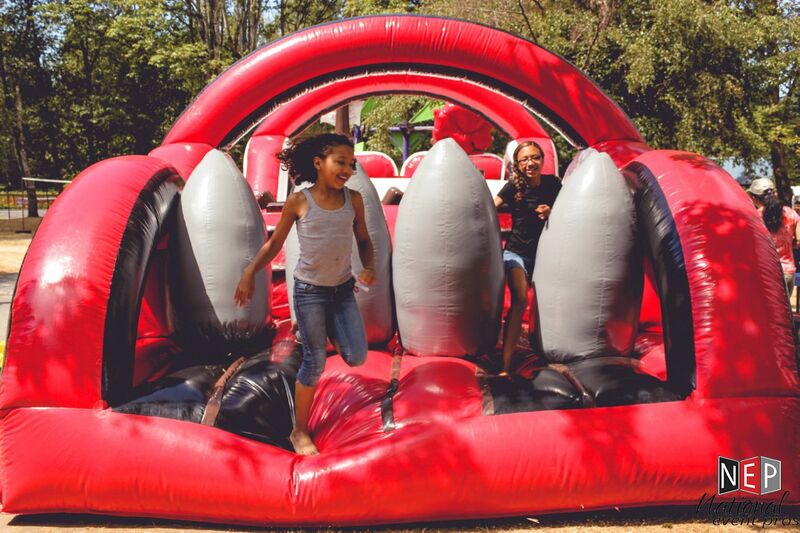 Our kid-friendly red-and-black obstacle course is low to the ground and packed with pillowy thrill. 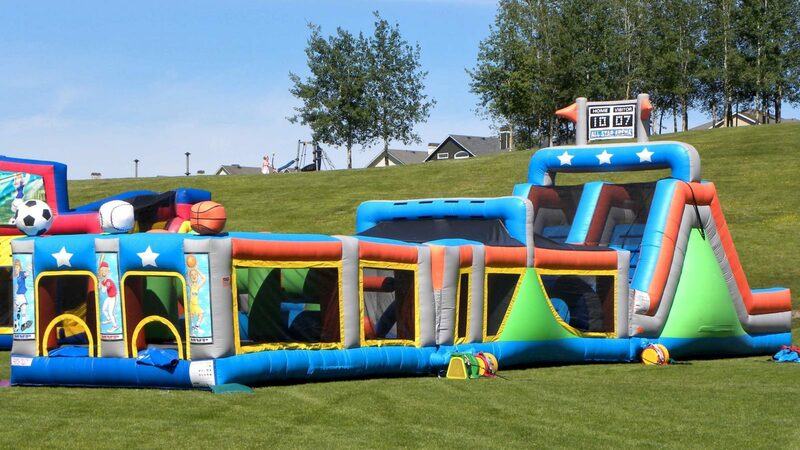 This sports-themed course covers a 65’ x 12’ space with ball-playing, mountain-climbing challenge. What’s the “zip” in Zip It, you ask? 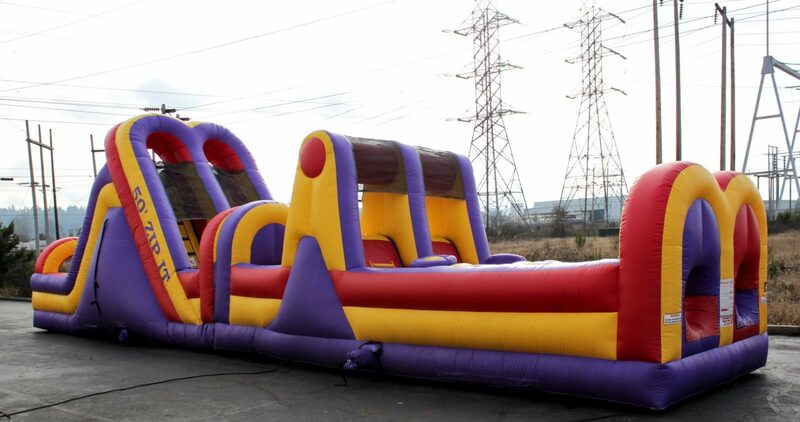 Zip through the bumpers, zip through the gate, and zip down the slide to the finish line. Speed has never been more fun. Imagine time standing still while on a roller coaster. Free to roam, you run the course of the coaster on your own. 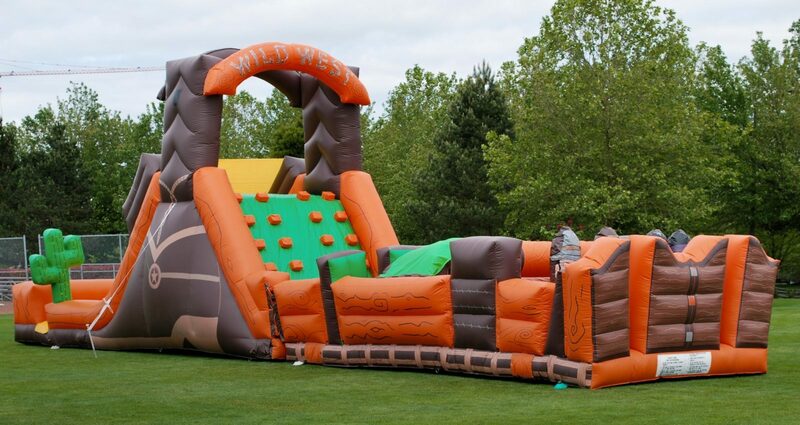 Such a dream is possible with the Wild One, a roller coaster crossbred with an inflatable obstacle course. Sunken treasure! Treasure Island! 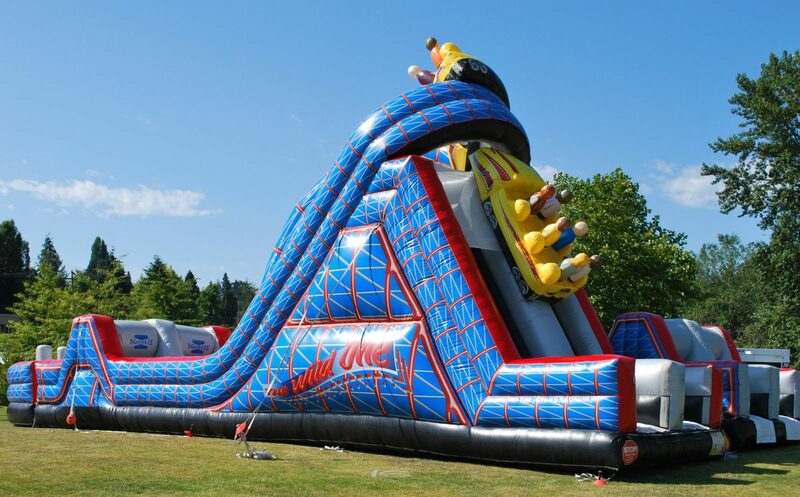 This climbing and sliding wonder is perfect for island-themed parties and has a throughput of 120 guests per hour. Welcome to the wild, wild West. Complete with saloon-style doors and cactus, this bold course will make cowboys out of guests in no time. There’s more to a Wipeout party than mere rentals. 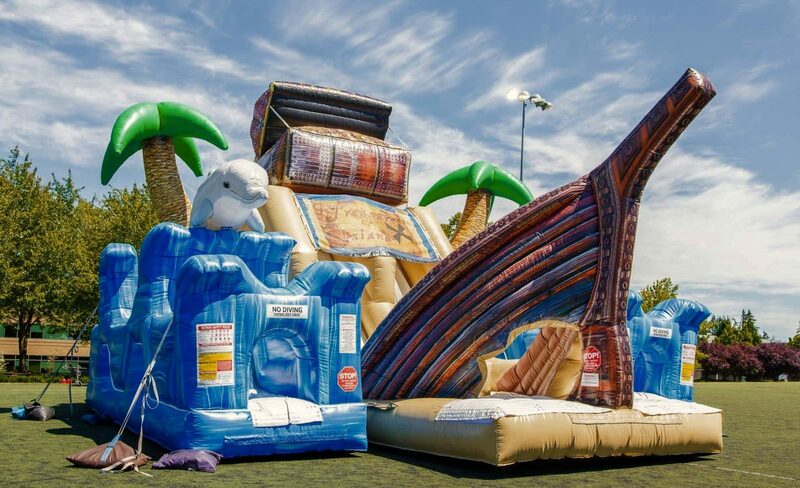 Our team of event professionals can help you take your game to the next level with professional staff, safety standards, and even concessions. Want it all on video? We can arrange that, too. AI is disrupting the world. Events are next. The Strangest High-End Request We've Ever Received?